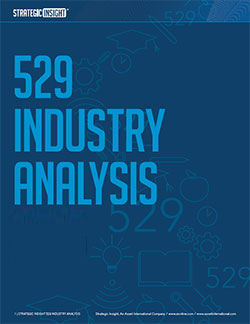 Strategic Insight’s 14th study on 529 plans is an in-depth qualitative and quantitative analysis of the trends that will drive industry growth over the next five years. In addition to using proprietary market research and data, Strategic Insight commissioned a new primary survey of more than 1,000 investors and conducted extensive interviews with industry executives. Based on this proprietary data and insight, this cornerstone industry report provides a reference tool for market participants to better position their firms long-term growth.